"Holding Firm Remix - EP"
Release on December 11, 2012. 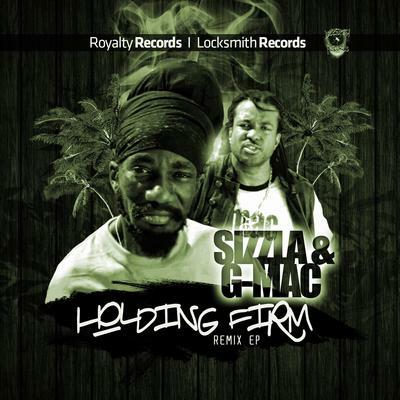 Sizzla Kalonji introducing an artiste from Judgement Yard - G-Mac on Holding Firm Remix EP. Both Sizzla & G-Mac expresses a lot of conscious lyrics on this EP. The genre in this EP is a mixture of Reggae, Roots, and Hip Hop. The new songs "Question" & "Holding Firm Remix" speak's clearly to the poor people around the world who are suffering in the ghetto and low income dwelling. The song 'Holding Firm' jump started Sizzla's career to where he is today. This remix with G-Mac will have fans feeling the same, from the past to the present now. The 'Holding Firm Remix EP' with Sizzla Kalonji & G-Mac is very uplifting to all nationalities world wide. All Songs Written by Sizzla & G-Mac. All Songs Recorded in Kingston Jamaica. Mixed and Master by Mix Production in Miami, USA. Manufactured & Distributed by Locksmith Records from New Jersey, USA.